"Samurai" redirects here. For other uses, see Clockwork Samurai Mouse. 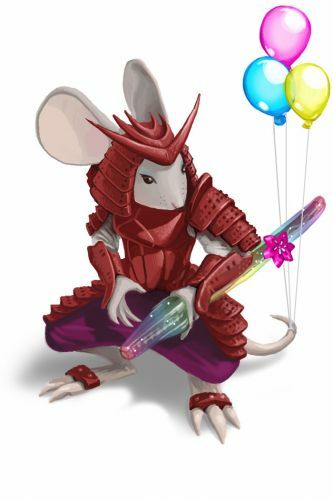 The Samurai Mouse is attracted mainly to Standard Cheese in the Training Grounds and Dojo locations. In the Dojo location, the Samurai Mouse will also be attracted when hunting with Maki Cheese. No Charms are required to attract the Samurai Mouse. Hunters can encounter the Samurai Mouse in the Training Grounds and Dojo locations. The Samurai Mouse will drop Luscious Lumber in the Training Grounds location when Hunters are working the Zurreal Trap Research Assignment. Attraction info and special event loot drops for the Samurai Mouse can be found at the individual event location pages. 10 October 2008: The Samurai Mouse was released in the Training Grounds. 27 November 2008: The Samurai Mouse's habitat expanded to the Dojo. 11 December 2008: The Samurai Mouse began to drop Satchel of Gold (500 gold) as loot. 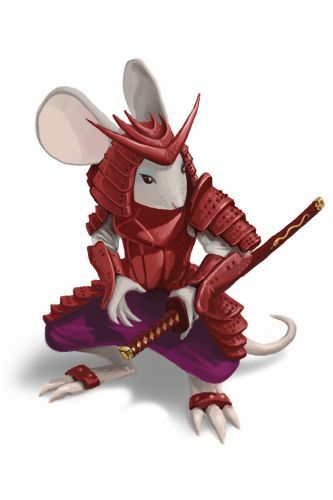 23 August 2011: The Samurai Mouse began to drop Luscious Lumber as loot in the Training Grounds for Hunters working a Zurreal Trap Research Assignment.. This page was last edited on 21 September 2018, at 17:16.